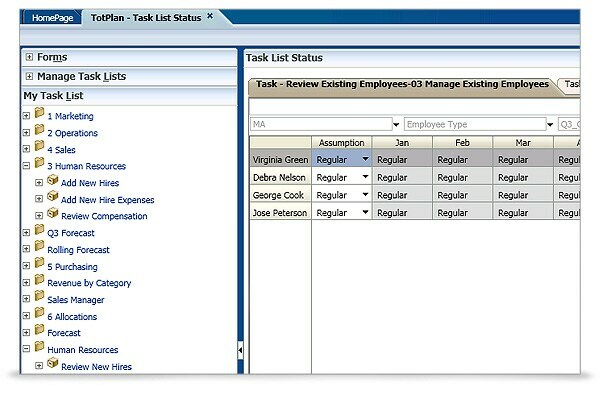 Designed with prebuilt functionality and best practices, Oracle Hyperion Workforce Planning simplifies workforce planning and related expenses, such as head count, salary, and compensation planning. 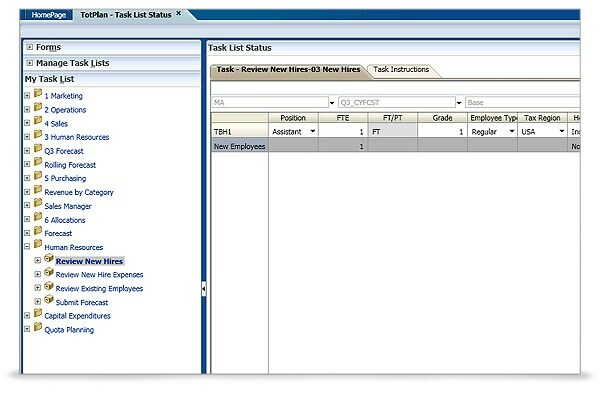 Link workforce expense plans to Oracle Hyperion Planning to quickly see the impact of workforce decisions on the entire organizational plan. 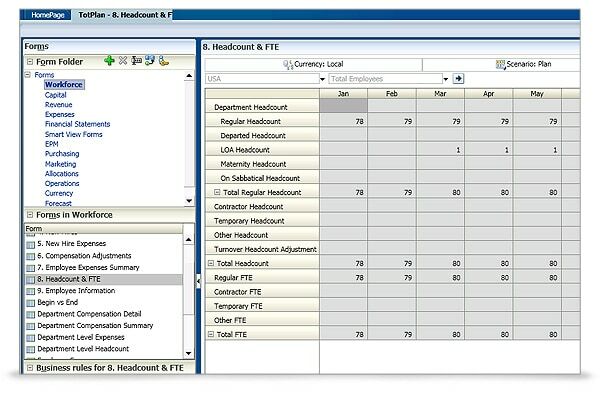 Combine existing head count and salary information with other compensation information to formulate a complete forecast. 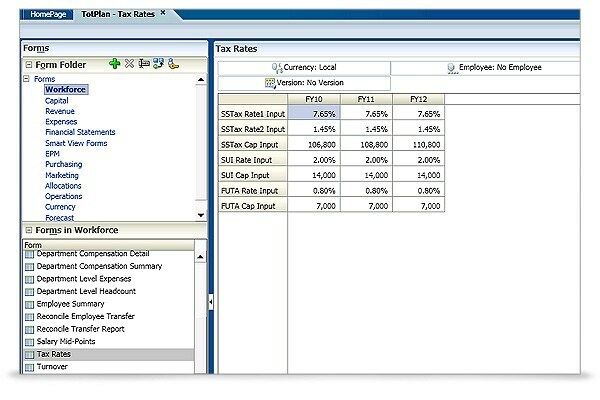 Modify the title, grade, rate, and other information for existing and future employees. Simplify the planning of workforce and workforce-related expenses, such as bonuses, fringe benefits, overtime payments, and merit increases. 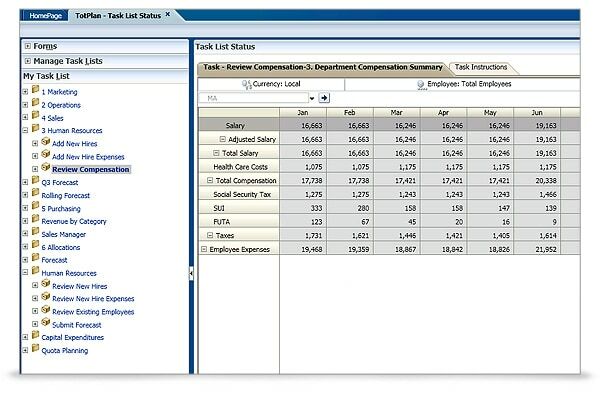 Prebuilt functionality for head count and expense management to add, edit, and delete to-be-hired employees. Plan salaries and other compensation, including bonuses, fringe benefits, and other expenses for existing and to-be-hired employees.